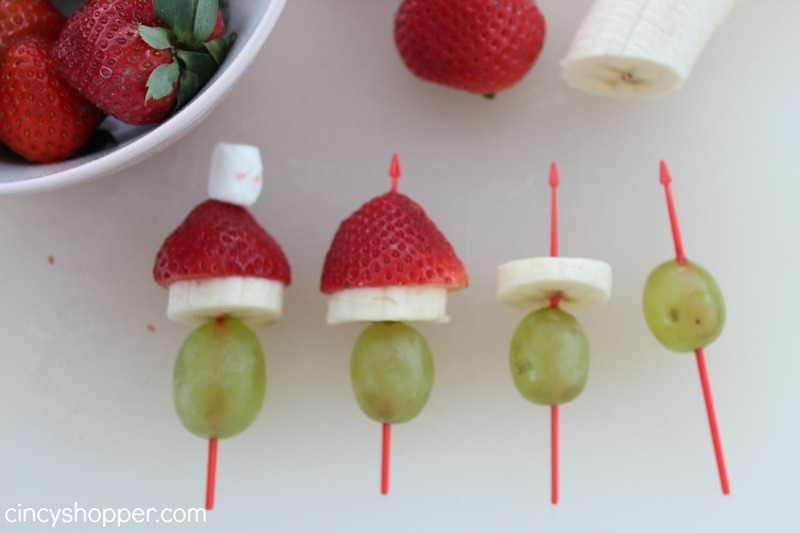 These Grinch Kabobs are going to be a hit with your kiddos (or honestly I found them to be quite tasty) or adults. If you are looking to prepare a healthy treat that is sure to be a hit over the holiday season I highly suggest making these cute treats. 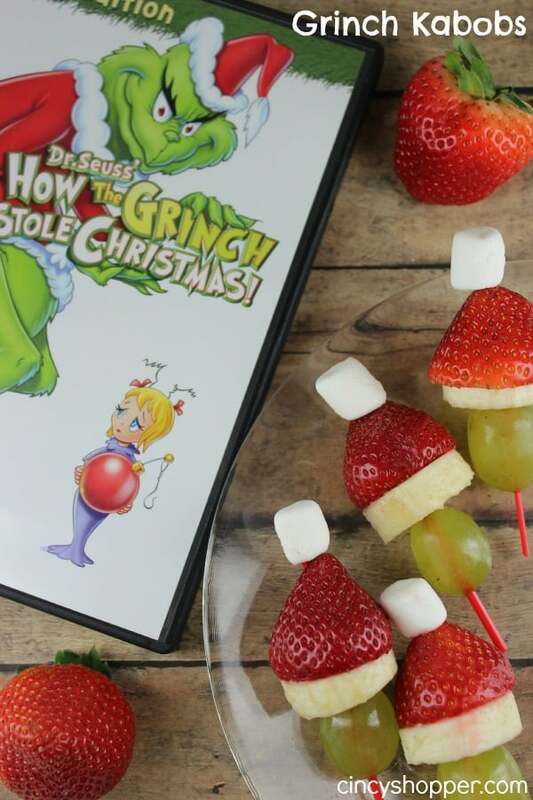 My kids were so excited when I surprised them with a Grinch Who Stole Christmas DVD and these tasty and healthy Grinch Kabobs this afternoon after school. If you are needing to provide a school treat these would be a great addition to the kiddos holiday fun at school. Or if you are looking to do a themed Christmas Party. They would be so simple for you to put together. Also, the kiddos would really enjoy helping in the kitchen with this quick and easy recipe. 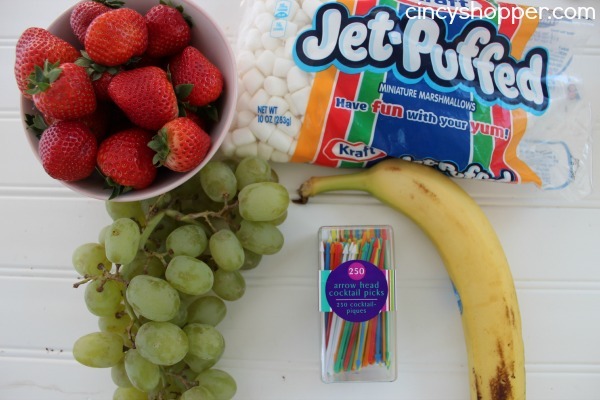 Just grab some fresh fruit, min marshmallows and some skewers and you will have a nice healthy (and tasty) snack. Cut stem end off of strawberries. Place kabobs on toothpicks with grape then banana slice, then strawberry, then marshmallow on end.